Paul Strand was born in New York in 1890 to Jewish Bohemian immigrants. His interest in photography began in his late teens when he took photography courses under Lewis Hine, but it was only majorly heightened after visiting the Photo-Succession Gallery at 291 Fifth Avenue (operated by Alfred Stieglitz) when he was a student at the Ethical Culture School. After viewing this exhibition of photographs, Strand found a mentor in Stieglitz and realized that he wanted to become a professional photographer. This Jewish American who abandoned a steady job in his fathers business to travel to Europe and fulfill his dreams, would later become “the biggest, widest, most commanding talent in the history of American photography” (Manhattan People). Strand believed that in the years after World War I America was developing into an age of “new thinking and new feeling,” so he began a new phase of his photographic career by capturing anonymous people in the streets of New York. This series led to the iconic photograph Blind Woman in 1916. Blind Woman is seen as iconic because of how it changed the face of photography in America. This photograph was a major factor in the change over from picturesque cityscapes to images with real artistic visions. 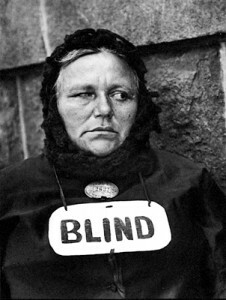 Blind Woman also greatly influenced the work of other artists such as Walker Evans and Stanley Burns. Blind Woman, though, was not meant to make a social statement in the eyes of Americans. It was simply the idea of taking an individual in everyday life and exposing them to the public as an object of investigation. Jewish photographer Alfred Stieglitz was a major supporter of Strand’s work, specifically Blind Woman. 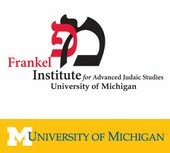 This made have had to do with the Jewish idea of sticking together in rough times, because the early 1900s were filled with harsh discrimination and anti-Semitism in America. Whatever the case, Stieglitz brought the photograph to public attention by publishing it in his influential journal Camera Work in 1917. This led Strand’s New York street portraits to become wildly popular and they are still seen today as “Strand’s most exciting work” (Alan Trachtenberg). Strand then, much to the dismay of the public, abandoned this kind of photography and never returned to it again. 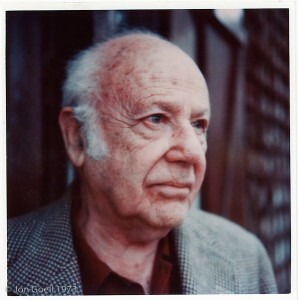 You’ve written some thoughtful material about Paul Strand as a young photography and his relationship to Stieglitz. I’m surprised, however, that you did not cite the assigned reading where Strand offers his own interpretation about why he took “Blind Woman” and several of the other photographs. The sources you mention are good to supplement the reading assignment but I think that they may have led you a bit astray. How did you come to Stanley Burns? And that particular photo? I don’t see any connection with Strand’s “Blind Woman.” On the other hand, there are a number of Walker Evans photos that do show an influence. Your last paragraph speculating on Stieglitz’ support of Strand is really speculation. Stieglitz supported many young and aspiring photographers. Strand was one of the best and Stieglitz recognized it. 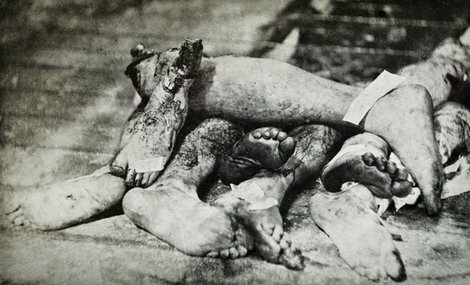 That they came from similar backgrounds as the sons of successful Jewish immigrant businessmen may have strengthened their rapport, but I do not think that antisemitism played any role in Stieglitz’s respect for Strand’s photographs. Strand was doing amazing work, new and exciting, and that grabbed Stieglitz.